The Law Office of E. Ross Craft is a solo practice focusing on Criminal Defense, Probate and Wills. 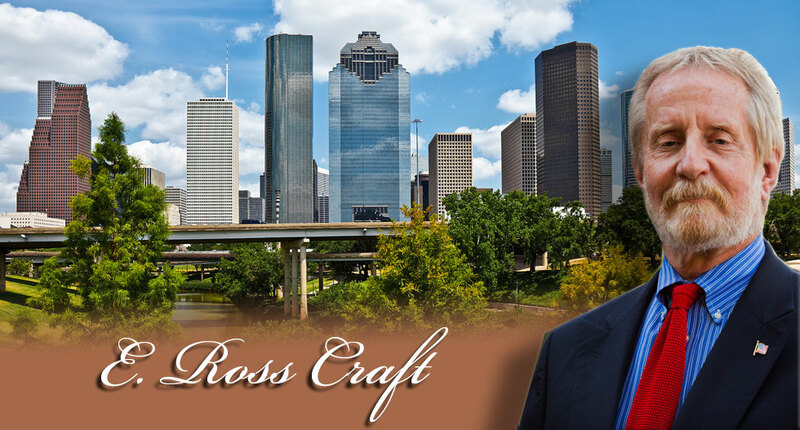 E. Ross Craft is a Houston Attorney with over 20 years of experience in the practice of law in Harris County and surrounding counties. As a Criminal Defense Attorney, he has represented clients accused of or charged with either felony or misdemeanor violations of Texas Criminal Laws. He also assists clients in the preparation of Wills, Medical Powers of Attorney, and Directives to Physicians. Additionally, he represents clients in the probate of Wills. As a Probate Attorney, he has probated Wills in Harris County, Fort Bend County, Galveston County, Montgomery County, Dallas County, and Johnson County.